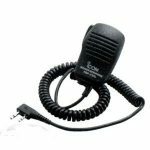 The new ID-5100E is a VHF/UHF dual band digital mobile transceiver that enhances core features found in the celebrated IC-2820H mobile and incorporates the user-friendly technology of Icom’s IC-7100. The radio features a large responsive touch screen, integrated GPS, optional Bluetooth® connectivity and support for Android™ devices. 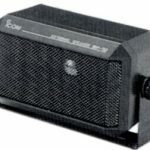 The ID-5100E receives 118–174MHz and 375–550MHz* with dual receiver capability that allows you to receive two bands simultaneously (including within a single band)*. Almost all VHF & UHF communications are available to you! The ID-5100E has simultaneous receive for FM/FM and FM/DV modes, and the capability of monitoring two DV signals. The main band audio has priority, if two DV signals come in at the same time. The ID-5100E has an integrated GPS which allows you to transmit and receive position data from the built-in GPS receiver. Position, course, speed and altitude are shown on the display. The GPS position information can be used for exchanging position reports, tracing the GPS log and searching for nearby repeater sites. 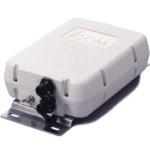 The GPS antenna is located in the remote head, no external GPS antenna required. To use the repeater list function, the position data of the repeater is required in the repeater list. The ID-5100E will be shipped with a limited number of repeater memories preprogrammed. 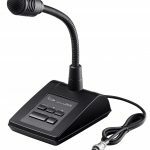 The optional Bluetooth® headset, VS-3, can be used for hands-free communication and remotely control the ID-5100E with three programmable buttons. Providing you with convenient communication in a vehicle. Connect to the ID-5100E for remote control of DR functions, link with a map application and send/receive messages and images over the DV mode. *Optional UT-133 Bluetooth® unit must be installed in the ID-5100E. *Some functions may not work properly, depending on Android™ phones and devices used.